We love our probiotics around here — we drink ’em, we eat ’em, we feel better when we have them. And they might do more for your health than you ever realized. 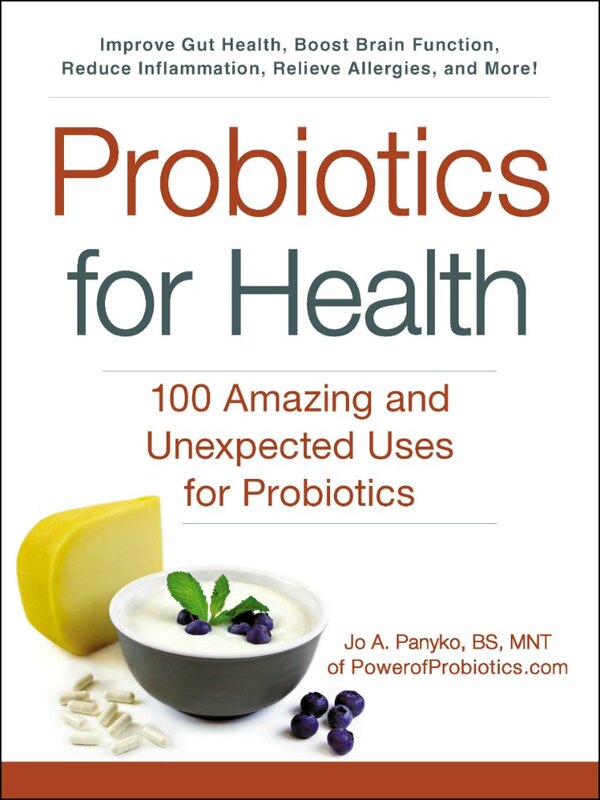 Just ask Jo A. Panyko, a Master Nutrition Therapist and author of two books about probiotics. She is a professional member of the National Association of Nutrition Professionals (NANP) and works as a functional medicine nutrition therapist (nutritionist) at her company, Chrysalis Nutrition and Health. She writes about how to be healthy with probiotics on her website, Power of Probiotics, and today’s post is an excerpt from her book, Probiotics for Health. You experience that afternoon slump and reach for a candy bar or a sugar laden coffee. Or maybe you go through your day, starting with a breakfast of doughnuts or sugary cereal, and then proceed to sodas for drinks, cookies to snack on, dessert after dinner, and finally to a nighttime snack of ice cream. You know that feeling; it’s that I-have-to-have-something-sweet-and-I-have-to-have-it-NOW feeling. Sugar is so easily accessible in Westernized cultures that it is easy to overindulge in it. But why do you crave it? There are several reasons. One, sugar usually means sucrose, which is composed of glucose and fructose. Glucose is the sugar in your blood, so consumption of sugar results in a temporary boost of energy. However, that blood sugar spike causes insulin to be released to usher the sugar into cells for energy or fat storage, and shortly afterward your blood sugar drops. So then you feel a slump and reach for something to bring your blood sugar back up: more sugar. Another reason is that sugar is addictive. Sugar intake causes the release of dopamine, a feel-good neurotransmitter involved in motivation, reward, and reinforcement of pleasurable behavior in your brain, similar to what other drugs of abuse do. As a result, you crave that good feeling and so indulge regularly in sugar. Yet another reason may be that your gut microbiota influences your behavior. Pathogens, in particular, are able to use sucrose to outpace the growth of beneficial microbes and thus can affect brain function with their metabolites. Some pathogens produce by-products of sugar metabolism that may promote addiction. Many probiotics can help control pathogens, regulate hormones involved in appetite, influence neurotransmitter actions and production, and modulate insulin release. With the help of probiotics, you may be able to kick your sugar addiction! Excerpted from Probiotics for Health by Jo A. Panyko, Copyright © 2017 Adams Media, a division of Simon and Schuster. Used by permission of the publisher. All rights reserved.